With the holiday season in full swing and millions of parents on the hunt for the perfect gifts for all of their little ones, this is the most important time of year to talk about toy safety. We have the tips to help you shop smart because December is Safe Toys and Gifts Month. Toys have the ability to inspire joy and imagination in children, but they also can cause harm if they are not designed properly. Approximately 200,000 children 15 years old or under are expected to receive emergency room care for toy-related injuries in 2014. If you have a child under three, you know how much they love to put things in their mouth. Because of this, avoiding toys with small parts is critical. Also, look for items that have strong construction that will stand up to rough playing. 2. Cords, and straps, and strings; oh my! Avoid cords, straps, and strings that are seven inches or longer. These items pose a higher risk of strangulation. Skip the toys with sharp edges or points, especially the projectiles. Darts and toy rockets are some of the projectiles that should be crossed off your shopping list. Some old-school toys should be avoided. Cap guns have been around for a while, but they are a definite no-no due to the threat of serious burns from improperly ignited caps. 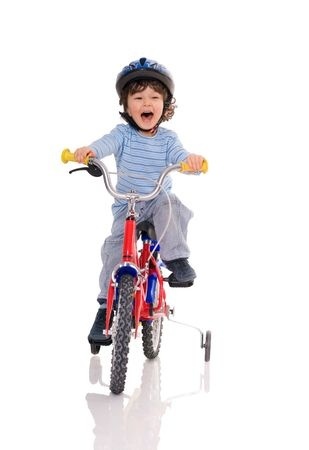 If you’re giving your child a new bicycle, you also need to give them a helmet. When properly worn, a bike helmet will greatly increase their safety when riding. 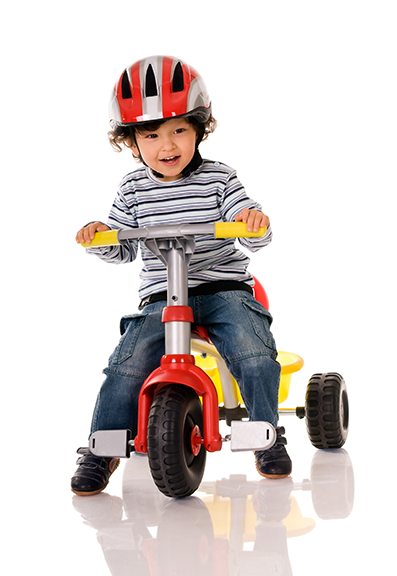 Now that you have some basic principles in mind, you can create a safe toy shopping list for 2014. When family members ask for gift ideas for your little ones, you will have several safety-conscious options ready to suggest. For any random gifts that may slip through, make sure you thoroughly inspect them before taking them out of the box. After opening, go through everything to make sure there are no unexpected small parts lying around. Following our suggestions will help you stay safe and have fun this holiday season. If you have any tips of your own, awesome gift ideas, or any thoughts on Safe Toys and Gifts Month, let us know in the comments section.